It's official - Version 2.1 will be launching on the 2nd of June! Join us on the 2nd of June (evening) to celebrate UpBeat's 2nd anniversary! 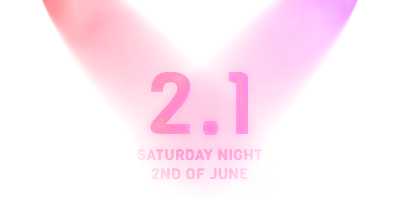 We will be on air all evening, with a variety of shows to keep you b u z z i n g.
The 2.1 launch night, is an event not to be missed! If you've been keeping up with The Weekly Rundown's over the past few weeks, you will already have seen a taster of what 2.1 has to offer. We have plenty more to show off, including a super secret project that not even our Management team know about! Be the first to find out about future updates and spoilers! Join our Public Discord server today.